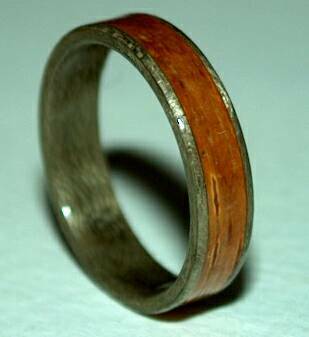 This soft toned greyed maple wood ring was designed by a fellow for his beloved of Finnish heritage. The wide inset band is dark birch bark with natural birch bark markings. This ring was made at size 6 3/4. It's approximately 5mm wide.